The Ferrari 430 Spider made its world premiere at the Geneva Motor Show and was designed with aerodynamics in mind, similar to Formula 1 cars. This is truly a fast and smooth drive. It’s 32-valve 8 cylinder engine allows the drive to go at a top speed of 193mph, making this car perfect for an experience day or a touring holiday. As well as hiring the Ferrari 430 Spider to private individuals, we also make our Ferraris for hire to companies, organisations, and even events and festivals. Whether for a single day or for more than a week, here at Ferrari Hire, we tailor each and every one of our services to our clients and customers to ensure full satisfaction. 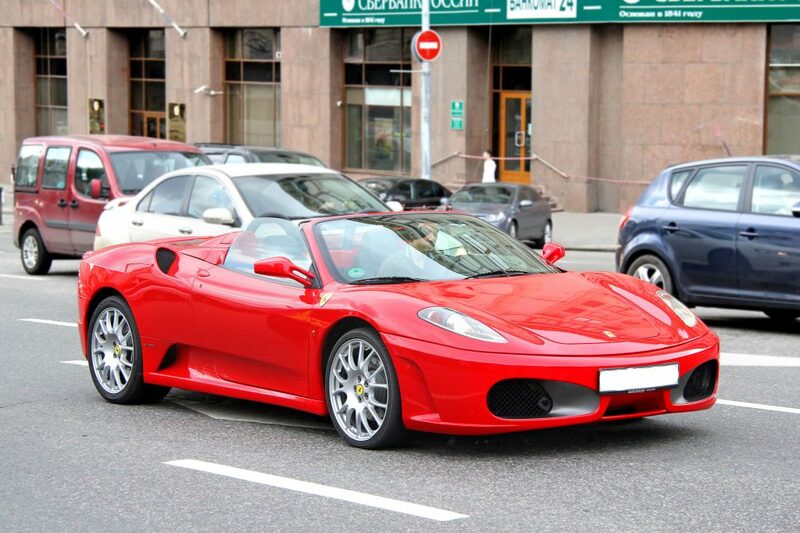 Proud to go one step further than any other supercar hire company in the UK, we can even arrange to deliver your Ferrari 430 Spider hire for the small price of £1.50 +VAT per mile anywhere outside of central London. Whether you’re an individual or a company looking to hire a 430 Spider, we can also arrange for additional drivers to be placed on the insurance for just £20 +VAT per person per day. Before a Ferrari hire may take place, whether with a 430 Spider or any other of our cars, we require certain proofs of ID including a driving licence, passport and two documents supplying proof of address. These may be in the form of a utility bill and bank letter or statement. If you would like to know more about hiring one of our beautiful and powerful 430 Spider’s, check out our enquiry form and we’ll aim to get back to you within 24 hours.